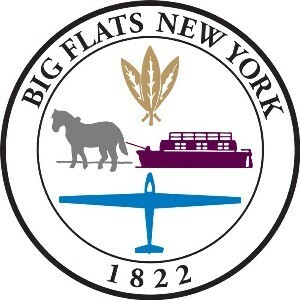 Big Flats is a town in Chemung County, which is located in the New York Finger Lakes, the state’s largest wine producing region with more than 100 wineries and vineyards. Early settlers referred to the area as “Great Flatts.” As the population grew, the town of Big Flats was created in 1822 from land within the town of Elmira. Today Big Flats is home to 5,200 residents, about 1,000 of whom are over age 65. In September 2012, Big Flats followed Chemung County and its neighbours in joining the AARP Network of Age-Friendly Communities and become a member of the WHO Global Network of Age-friendly Cities and Communities in 2015. Big Flats has a low cost of living and many attractions, including the National Soaring Museum, Harris Hill Park, Big Flats Community Center, numerous shops and eateries, Plymouth Woods Nature Preserve and Tanglewood Nature Center and Museum. Town leaders in Big Flats worked with leaders from Chemung County, the city of Elmira and the town of Elmira to develop a series of community action plans that will be implemented over a three-year period beginning in 2015. Input into the plans came from a range of local agencies,including historical and preservation societies, bicycle and transportation groups, health organizations, park and recreation supporters, faith groups and AARP. Each plan specifies steps to achieve success in the World Health Organization’s 8 domains of an age-friendly city. The plans also address the need for affordable housing and a greater variety in housing options including independent- and assisted living-communities and multi-generational, mixed-use neighbourhoods where people can walk, bike, live, shop, work, learn, worship and play.